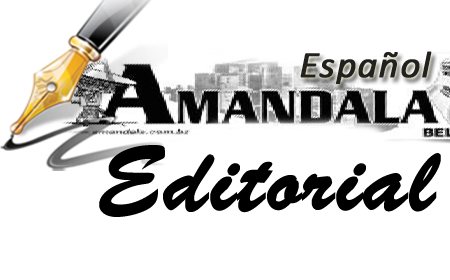 GOB gives Guat gunboat “red carpet” treatment! BELIZE CITY, Mon. June 15, 2015–The Guatemalan naval vessel GC 651 Tescum Uma, which illegally entered Belize territorial waters on Wednesday night and ended up running aground on Glover’s Reef Atoll, near Middle Caye, was removed from the reef yesterday, Sunday, and was given clearance, presumably on instructions by Prime Minister Dean Barrow to both Foreign Affairs Minister Wilfred Elrington and National Security Minister John Saldivar, to return to Guatemala immediately, even before damage assessment by the Department of the Environment is completed. Belizeans learned of the so-called “accident” involving the 65-foot Guatemalan gunboat on Thursday morning mostly via social media. In a statement from Ret’d Colonel George Lovell, the Chief Executive Officer in the Ministry of National Security, on Thursday morning, it was said that the boat purportedly “experienced propulsion problems,” meaning engine troubles, which caused it to drift. By Thursday afternoon, however, when reporters went to Middle Caye, Coast Guard Commander Elton Bennett told us that the captain of the boat, whose name government officials did not mention, told him that he had steering problems. Park rangers who are stationed on Middle Caye told reporters that they heard the loud revving of a heavy engine prior to the boat running on top of the reef. Government issued a press release from the Department of the Environment on Friday, June 12, which focused mainly on the ongoing efforts to remove the vessel from the reef over the weekend. “Upon its removal from the reef crest, and as long as weather permits, the DOE and the Fisheries Department will be conducting the environmental damage assessment to determine the extent of the damage to the Belize Barrier Reef, including any damages that may occur during removal. Once completed, the Environmental Damage Assessment Report will be forwarded to the Ministries of National Security and of Foreign Affairs,” said the government press release. The Opposition People’s United Party (PUP) issued a press release today, June 15, on the grounding of the Guatemalan naval vessel. “The position of that grounding, near Middle Caye, Glovers Reef is 30 nautical miles due ESE of Dangriga and about 57 nautical miles SE of Belize City. This raises the question about how it is that a Guatemalan naval vessel could enter and traverse Belize’s territorial waters unannounced and undetected by Belize’s national security apparatus,” said the PUP release. 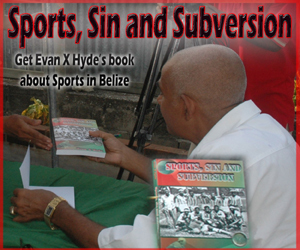 “Did the Guatemalan authorities advise Belize of their intent to transit our territorial waters and if so, when and to whom did they advise? “Why didn’t the Guatemalan naval vessel issue a distress call while drifting, in good time, so that emergency assistance could have been provided by Belizean authorities? “How and when did another Guatemalan naval vessel enter Belize’s territorial waters purportedly in a search and rescue mode? On Thursday, when reporters from Kremandala and Channel 5 arrived on Middle Caye, a Columbian-type boat was seen heading away from Glover’s Reef unescorted, even as a pair of Boston Whalers, Belize Coast Guard boats, were docked at the pier at Middle Caye, and a number of coast guard officers were on the island, brandishing their assault rifles to reporters. It is our understanding that the Columbian-type boat was deployed from another Guatemalan gunboat that was also seen in Belizean waters Wednesday night. On Saturday evening, five Belizeans were detained by the Guatemalan military in Santa Cruz, a Guatemalan village. The Belizeans were having lunch in the Adjacency Zone and were approached by Guatemalan military officers who told them that they had to leave. They were taken to San Louis, Guatemala, where they were detained and eventually taken to court. 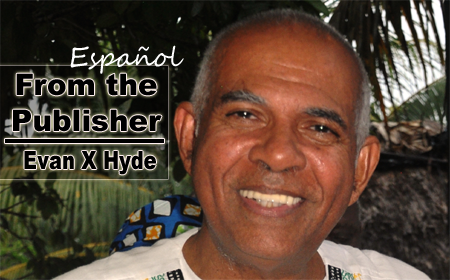 They had to pay a fine, but were still not released until the Guatemalan ambassador intervened. The five Belizeans, one of whom is a Punta Gorda town councilor, were released yesterday, Sunday, at about the same time the Barrow administration gave permission for the Guat gunboats to leave Belizean waters after the boat that had run aground on the reef had been pulled off. Upon their return to Belize, however, the five persons said that the soldiers had ordered them to run about four miles, away from the so-called Adjacency Zone, and into Guatemalan territory, all the while with guns aimed at their backs. This latest incident comes after the May 28-29 incident on Sarstoon Island, where a detachment of the Belize Coast Guard had gone on a 10-day reconnaissance mission to choose a location on Sarstoon Island to set up a forward operating base that would be manned by the Coast Guard and the Belize Defence Force to prevent illegal activities in that area of the Sarstoon. 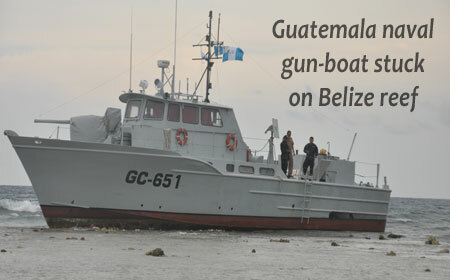 On Sarstoon Island, Guatemalan navy boats were involved in a stand-off with the Belize Coast Guard after the Guatemalans ordered the Coast Guard to leave the island, claiming that it was Guatemalan territory. The Coast Guard officers did not budge, but held their ground for many hours, until Prime Minister Dean Barrow ordered them to leave the island, just into the second day of the 10-day mission. In February of this year, 40 Belizeans from the Northern Territorial Volunteers were forcibly taken by the Guatemalan military to Livingston, Guatemala, because, according to the Guatemalans, they had strayed for about 5 minutes onto Guatemalan territory. They were released after questioning by Guatemalan authorities, but the captain of the boat was made to sign a document stating that he had crossed over into Guatemala. If he did not sign the document, which was in Spanish, neither he nor his boat and passengers would have been released. 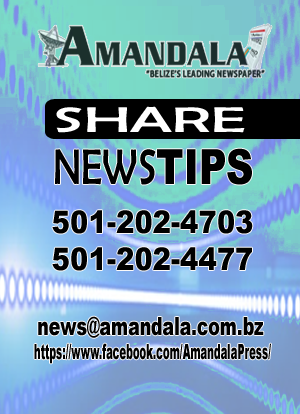 Former Ports Commissioner Major Lloyd Jones (Ret’d) told Amandala tonight that when a vessel runs aground in Belize, the proper protocol for handling such an incident is that the vessel is detained until after the damage assessment is completed. That did not happen in the case of GC 651, which was allowed to leave Belizean waters as soon as it was taken off the reef yesterday, Sunday. Jones said there are no precedents for military vessels, because this is the first time a military vessel has run aground on the reef. When the cargo ship The Westerhaven, a Netherlands registered vessel, ran aground in January 2009, Melanie McField, a marine biologist, calculated at that time that each square meter of reef that is damaged is valued at about US$2,000. 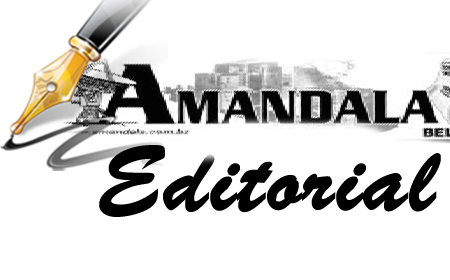 All of Amandala’s efforts to speak to Foreign Affairs Minister Wilfred Elrington and National Security Minister John Saldivar were futile.